Research into roughening transitions - Theoretical, Experimental and Computational has been ongoing at the Technion for 40 years. Several faculty and many graduate students have been involved - Avron, Landau, Lipson, Adler, Balfour, Carmi, Baum, Geminterm, Hashibon, Polturak and most recently Saltoun. 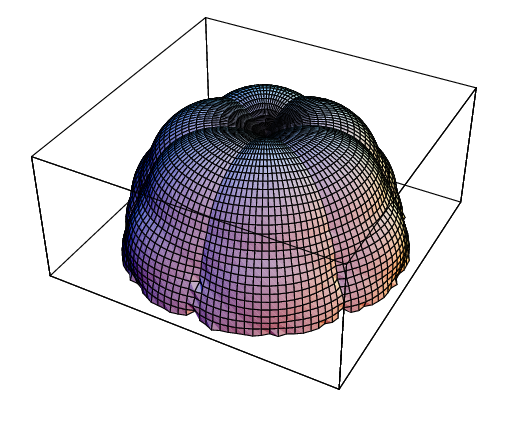 The surface tension of the NNN HCP is shown at left (Mathematica Image by G. Baum) where the indentations indicate facets. Image published in Hashibon et al, PRB, 1998. The code used for this calculation (of the surface free energy) is published in the appendix of G. Baum's MSc. thesis, Technion, 1994. It has been recycled for the present project, took about 5 mins to recompile in LINUX gfortran after 20 years.